Councilman Jim Montelongo represents that area, in the 4th District. He says it will help revitalization continue around Northwoods. Montelongo says the area’s business roundtable, that’s about a year old, is also thriving. He says they next meet on March 15. Montelongo says a bowling and amusement business called Round 1 is moving into the ground floor of the former Macy’s store at Northwoods. Other redevelopment in that retail corridor includes new construction at the former American Rental and Bob Evans sites, as well as a new business moving into the former Shop-and-Save store. Montelongo says the old Heritage Hotel has a new owner. It’s been gutted and now flies a Motel 6 flag. The Council also met City Link’s New General Manager. Doug Roelfs started as the assistant general manager Nov. 1. His General Manager appointment was made official Mon. Roelfs says it’s been a whirlwind of events since coming to Peoria. But the Iowa native says he likes the moving nature of transit. Roelfs says City Link has a couple new hybrid busses on the road and a couple more are coming by fall. 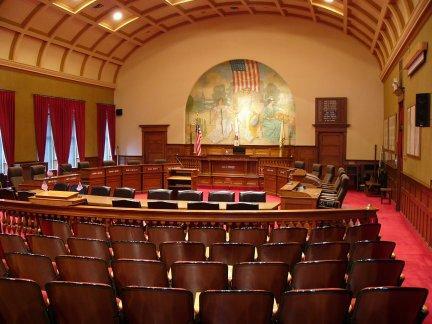 “We’re also looking at some new technology for our buses, AVLs, which are automatic vehicle locators so that way we can have real time locations for our customers so they know where the buses are at and how soon they’ll be at the next stop,” Roelfs said. Roelfs says the transit center will see some remodeling this summer, and agency still has working toward a creating a northside transit center. City Link also has its annual Black History Month Program Thursday at 10:00 a.m. at the transit center. Employees and customers along Knoxville north of Illinois Route 6 will soon have another option for getting around. 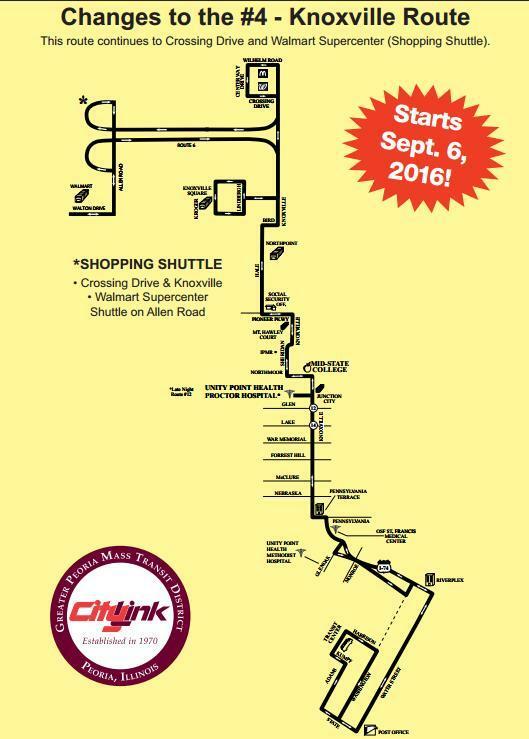 CityLink announced Tues. it's adding a bus route that includes a stop at Crossing Drive and Knoxville. It’s an intersection surrounded by several fast food and convenience stores. CityLink says the move is to service employees and customers of the fast food and convenience stores in the area. Bus schedules and information about the new routes are available here.